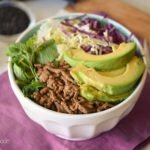 Sometimes you need an easy weeknight dinner, and this paleo beef and cabbage bowl recipe is just the thing! No crazy ingredients. No complicated steps. 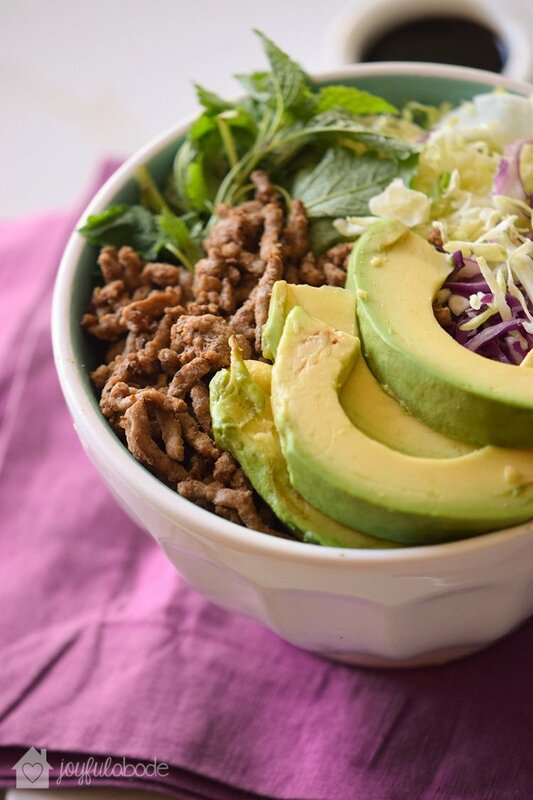 Simple, real food that will fill you up and sustain you! Plus, it’s completely customizable. If someone doesn’t like cabbage, maybe you’ll put broccoli slaw in their bowl instead. Or if one person doesn’t like avocado, top with sauteed peppers and onions. Maybe someone in your family tolerates dairy and wants to add a dollop of sour cream on top. Why not? Anything goes in this simple meal idea. While cooking the ground beef, add chopped tomatoes and oregano for an Italian twist. 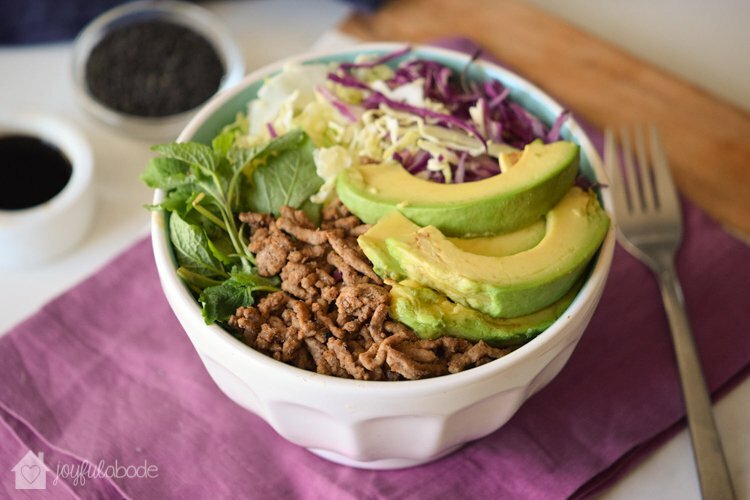 Love this Paleo beef and cabbage bowl recipe? Don’t forget to pin it! I especially like the dishes made from ground beef. Thanks for this great recipe. I believe I would use cilantro in place of the parsley and give it a bit of a kick with salsa, after cooking the ground beef with some cayenne in addition to the chili powder, or even some taco seasoning (although I’m not nuts about those prepackaged taco seasonings). I would probably top it off with some grated pepper jack and give it a squeeze of lime juice right before serving. 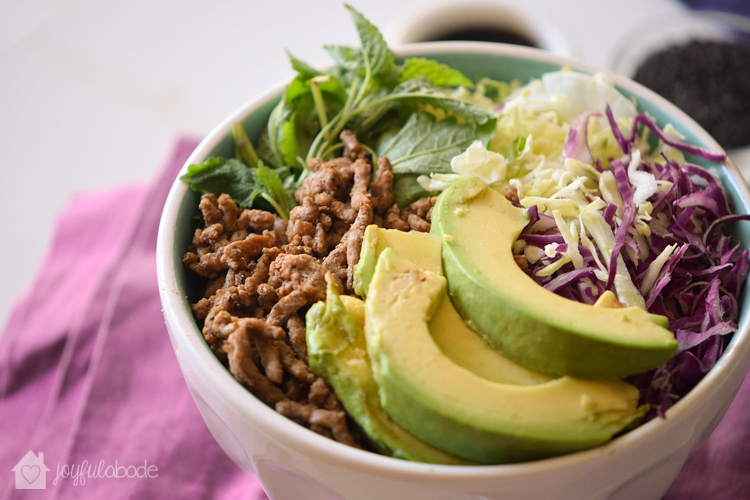 I have done bowls like this with shredded leftover pork roast. Also very good when seasoned well.